I think I have kept you drooling long enough this week. 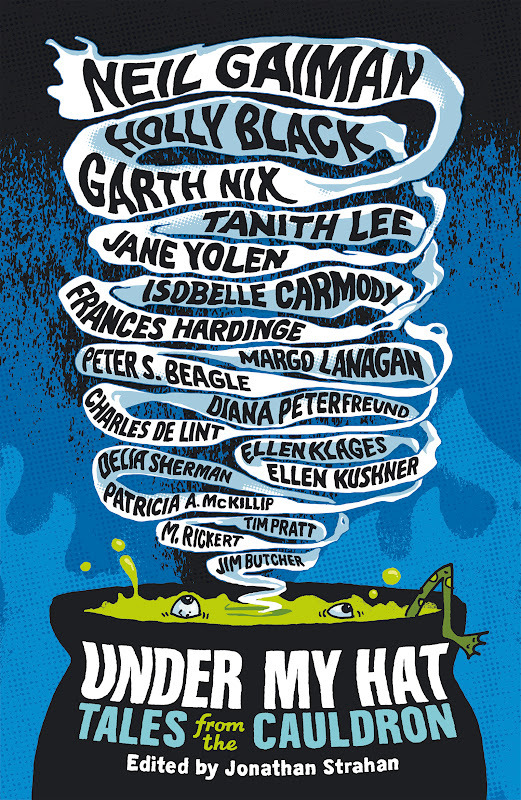 Let's look at the launch list from Hot Key Books. As I mentioned the other day, they will be launching in August and they have nine books that will be published before the end of the year. And from hearing about the books they are publishing, I am positive they will achieve this. So here are the books to look forward to. Angel Dust by Sarah Mussi - published in August. 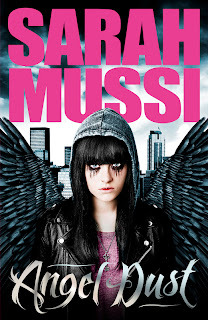 This is an urban London paranormal romance. Angel has descended to Earth to take a gangster to the after life. Sarah Mussi was there to tell us about the book and mentioned that the idea came about while waiting in traffic at New Cross. She wanted to have her angel descend from Heaven and arrive in New Cross. Hinting at Romeo and Juliet but with a distinct teen voice. Also published in August is Insignia which is already getting amazing reviews. S.J. Kincaid was there to talk to us via Skype and she really was an inspiration to all the unpublished writers listening. She never gave up on her dream to get published and it paid off in the end. 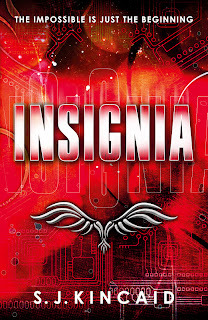 The main character is Tom and his life changes dramatically when his virtual-reality prowess is discovered in a future world where a war is being fought by robots. Moving onto September, Maggot Moon by Sally Gardner will be published. I can't help it, but I love the way Sally writes! 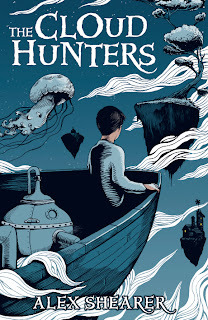 I am a huge fan of her last Young Adult book, The Double Shadow, so I was really excited to hear about this one. 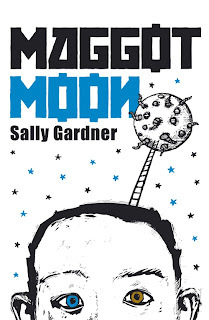 This book came about from research she had gathered while writing The Double Shadow and looks at conspiracy theories about the moon ten years before the moon landing. 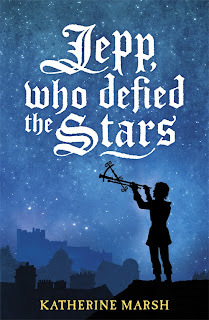 There is a fabulous character in it called Standish Treadwell who I can't wait to meet. An interactive edition will be available for the IPad, which will included lots of interesting activities. One of the activities that really intrigued me was the idea of looking at a page through the eyes of a dyslexic. 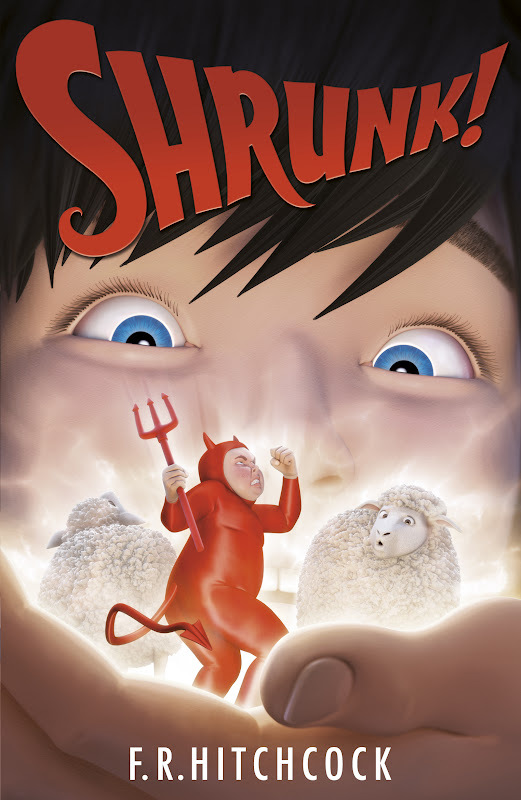 Also out in September, Shrunk! by F.R. Hitchcock. This book looks brilliant. Tom 'Model Village' Perks discovers he has the ability to shrink things. He gleefully shrinks some sheep, a few boats... and the planet Jupiter! As you do! I can't wait to read more! It sounds like a really funny and quirky read. Aimed at the 9+ bracket. Coming out in October, A World Between Us by Lydia Syson. Lydia was at the Hot Key Books event to talk about her books. 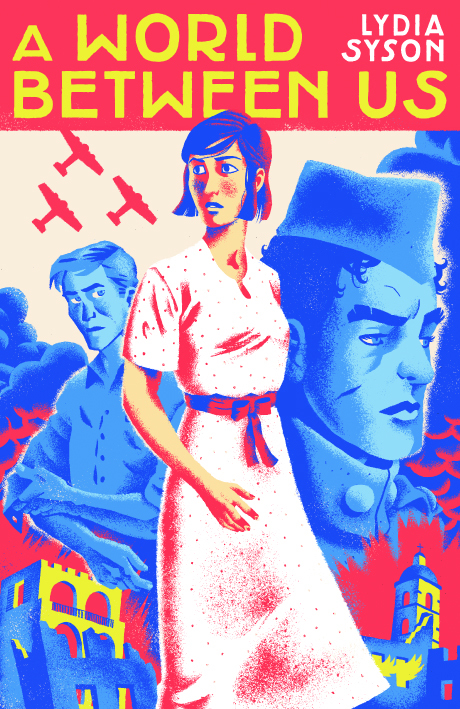 The book is about falling in love and is set during the Spanish Civil War. Lydia mentioned that she used elements of her family history in order to write it, specifically details concerning her grandparents who are pictured below. Lydia was happy for me to include this picture in the post. There will also be an interactive version of this book available for the IPad, which will include lots of background information. 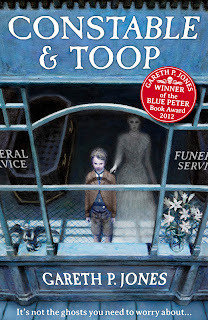 Also published in October, Constable and Toop by Gareth P. Jones, who won the Blue Peter book award for 2012. 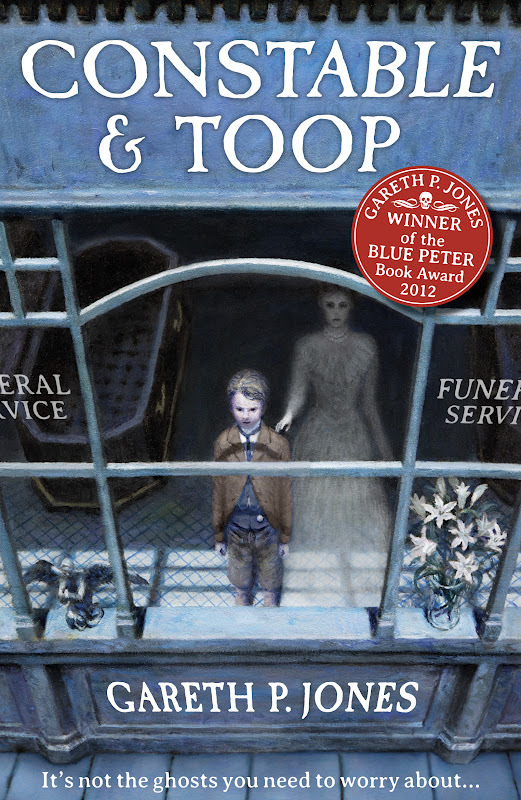 Sam Toop, the main character lives in a funeral parlour. While his dad buries the dead, Sam is constantly haunted by their demands for attention. This is aimed at the 9 to 12 age bracket and is described as a Dickensian Six Feet Under! I do like an anthology and going by the authors who have written for this one, I am pretty sure I won't be disappointed. This anthology is all about witches! One of my favourite subjects. 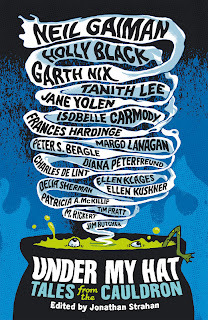 Featuring Charles De Lint and Holly Black, I just can't wait to get hold of this in October. In November, Hot Key Books will be publishing The Cloud Hunters by Alex Shearer. This is in a similar mould to Charlie and the Chocolate Factory, giving off a Dahl-esque feel to it. The book is set on islands that are in the sky. The author got the idea while travelling over the Maldives, when he was looking down from the clouds. In this truly imaginative fantasy world, water is scarce and deadly jelly fish fly through the sky. 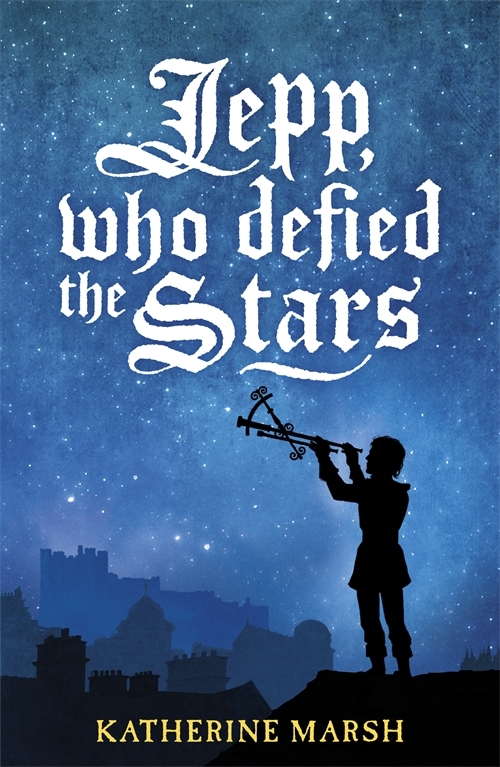 Also out in November, Jepp, Who Defied the Stars by Katherine Marsh. This book is set during the 17th Century and is written by an American author who writes for the Washington Post. It is the coming of age story of a teenage dwarf. This book is described as 'thrilling yet heartwarming'. I think you will agree, Hot Key Books have some amazing books coming out. They are definitely an imprint to look out for. Wow, these books all sound AMAZING! I'm off to find out more information about them now. What an amazing round up Vivienne. Thank you! Sorry to have missed you at the bloggers event, but I looking forward to meeting you soon. I can't wait to get stuck into A World Between Us!